Type the following commands in a terminal window pressing Enter after each line. When you do a backup to this location, rman will act as if this was a backup to tape. 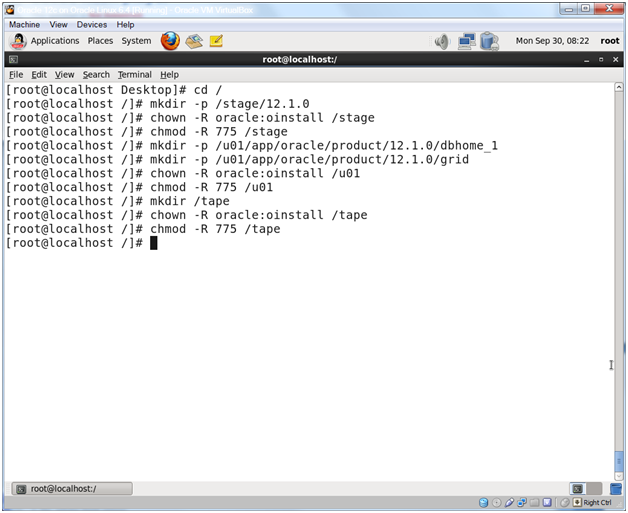 This entry was posted on Wednesday, April 2nd, 2014 at 6:17 pm	and tagged with Database Install, Oracle, Oracle Linux and posted in Code, Linux. You can follow any responses to this entry through the RSS 2.0 feed.